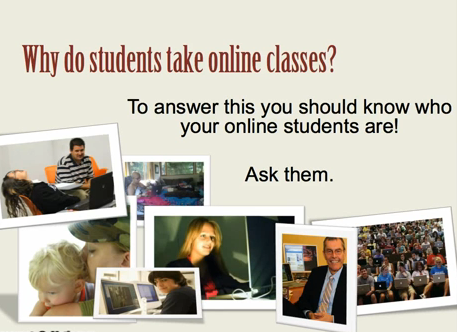 Images below are all linked to the actual presentations or posted materials. 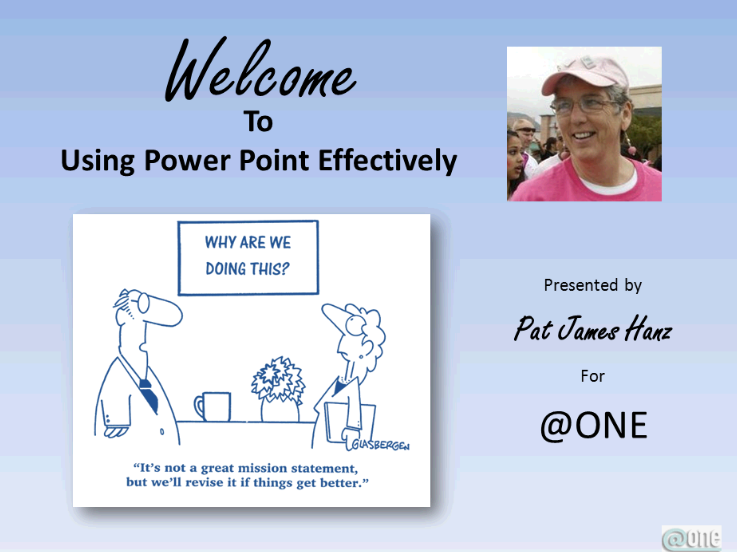 Please scroll down for a complete list of recent presentations. 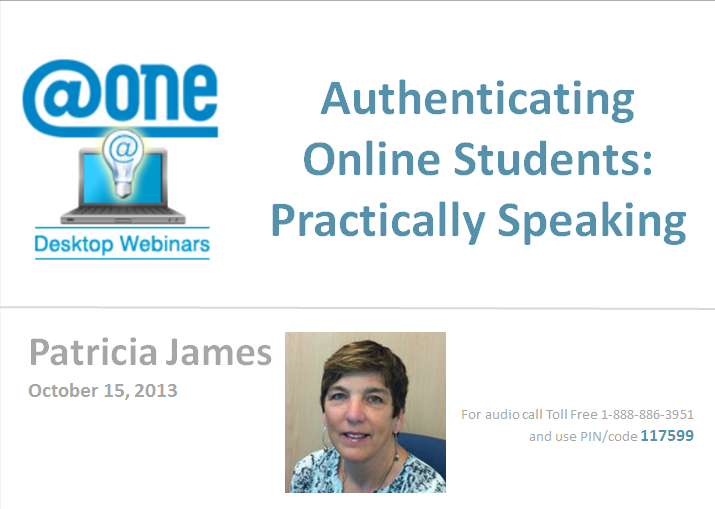 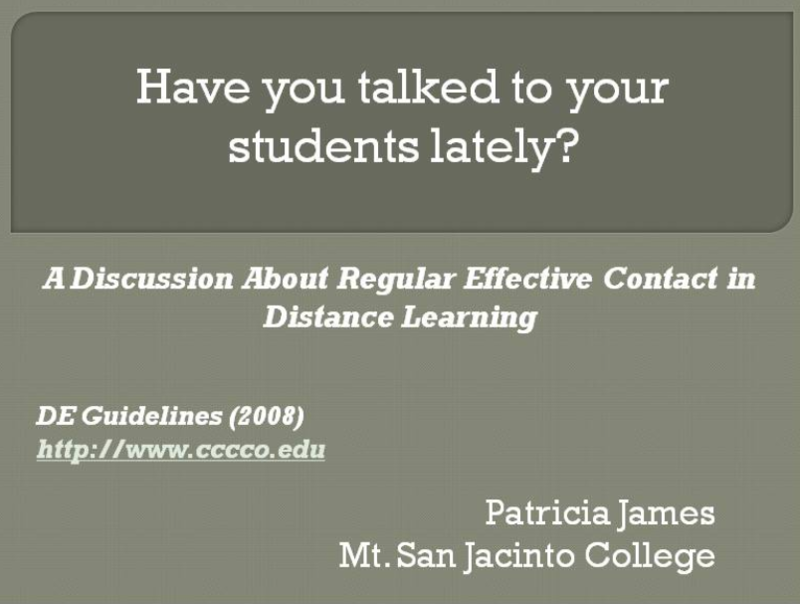 E-conferencing presentation about instructor initiated contact done using California's premiere web conferencing tool! 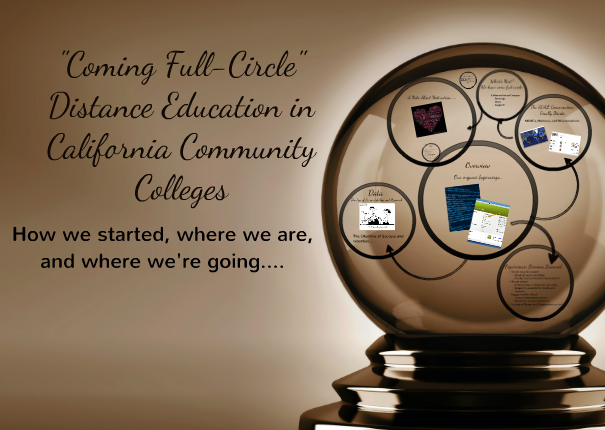 E-conferencing Archive on CCCConfer California's premiere web conferencing tool! 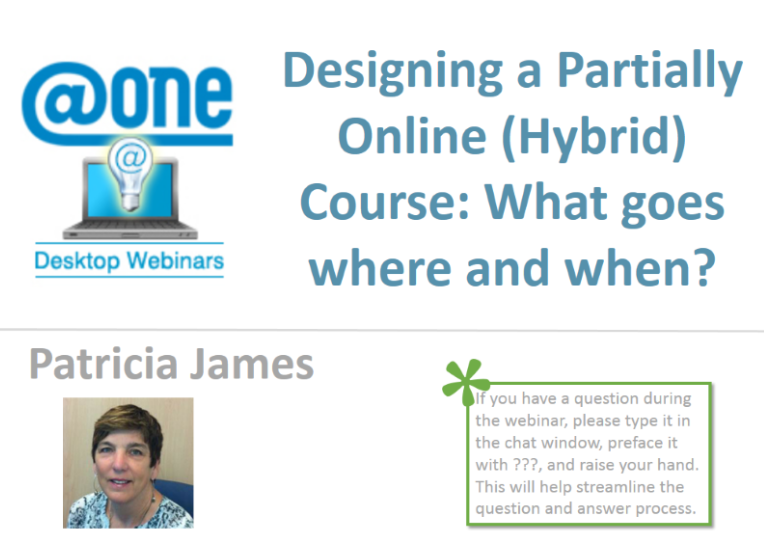 E-conferencing presentation about design strategies for hybrid courses. 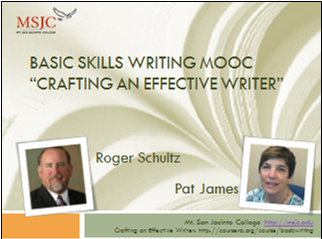 Patterns of Persistence: Research Project for "Crafting an Effective Writer"
DE Retreat (Keynote) 2013 DE in the CCC;s "Coming Full Circle"
@ONE: Introduction to Online Teaching Learning 4-week course; multiple offerings.